Following reports that Apple are working on the iPad Pro – a hybrid between an iPad and aMacBook– an analyst has released predictions that manufacturers involved in selling chipsets to laptops and netbooks will suffer greatly. The iPad Pro is said to bridge the gap between the iPad and MacBook; it will most likely run OS X and feature a 12-inch form factor. The analyst predicts that the release of the iPad Pro will eat significantly into Intel’s franchise of providing chips since it will kill off the netbook and most laptops. The iPad Pro is said to be the perfect blend of portability taken from the iPad lineup and the productivity and flexibility of the MacBook range. Apple isn’t really innovating when it comes to the iPad Pro – instead they are directly targeting the Microsoft Surface Pro by combining two of their most successful products. Despite the iPad competing with the Surface Pro already in most consumers eyes, the physical appearance with reference to the add-on keyboard differs greatly between the two devices, with the iPad seemingly taking a hit without a keyboard option. 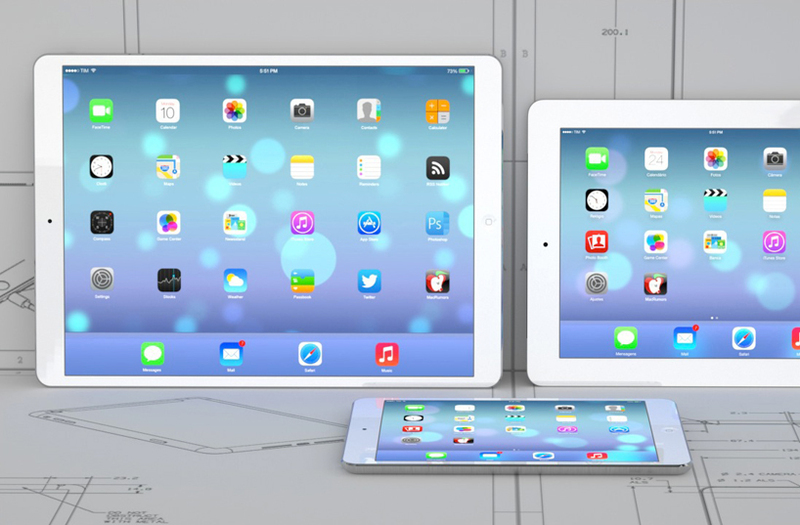 The iPad Pro will address this. Reports suggest the iPad Pro would mostly be targeted at schools. With it already benefitting from a huge App ecosystem, the addition of a keyboard to improve the productivity appeal of the device seems the logical next step. Let us know your thoughts in the comments below – would an iPad Pro kill the netbook and laptop market as we know it?